I was wrong in my last cartoon about the Sky commentators gaffe not running more than a few days. 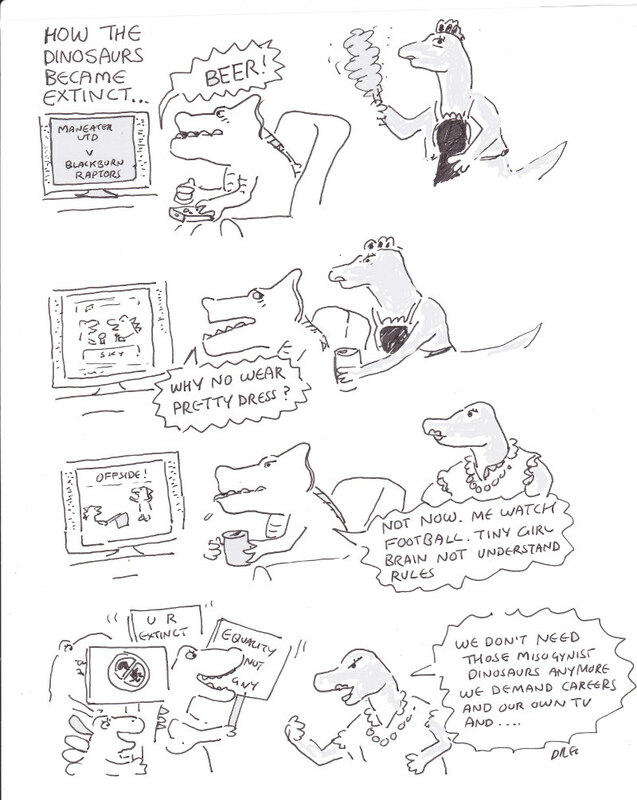 The war between the sexes is ignited again with talk of dinosaurs and banter. Why are men who refer to women in old fashioned get back in the kitchen ways referred to as dinosaurs and if they were what does that say about the female dinosaurs and their hopes of survival. Hence the cartoon.